Calling all 2D/ CG Line Producers! Flying Bark are on the hunt for an experienced 2D/CG Animation Line Producer to join us in Nickelodeon’s Rise of the Teenage Mutant Ninja Turtles! You’ll be working with some of the best illustrators in the country, driving the schedule and budget as well as being the focal point for all crew. It’s a 1.5 year project and we’re looking for Line Producers who are driven by getting the best out of their team. Flying Bark Productions is a prolific independent producer on the international stage with a successful legacy of creating iconic animated children’s entertainment. We operate as a full-service production facility across feature films, television series and a diverse range of digital platforms. Our Service business is booming and we’re working with several major global producers such as Nickelodeon and LEGO. We’re currently looking for experienced Line Producers wanting to join our dynamic team for Season 2 of Rise of the Teenage Mutant Ninja Turtles! • A self starter who uses their initiative, tenacity and optimism to execute! Job Categories: 2D Animation. Job Types: Full-Time. 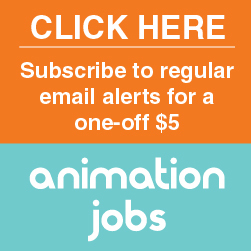 Job Tags: #2DProduction, #LineProducer, #RoTMNT, #SydneyAnimation, and production.